If you visit any of today's modern Chinese American communities, such as the San Gabriel Valley outside of Los Angeles, Flushing in New York, or numerous areas around San Francisco and Silicon Valley, and even Houston, you will find an interesting array of wonderful and delicious Chinese food. If you visit any of today's modern Chinese American communities, such as the San Gabriel Valley outside of Los Angeles, Flushing in New York, or numerous areas around San Francisco and Silicon Valley, and even Houston, you will find an interesting array of wonderful and delicious Chinese food. Yet when you compare that to what most 20th century Americans believed to be Chinese food, (and what still passes as Chinese food in many parts of the country to this day), there's absolutely no comparison. So what happened? Of course, this is a complicated question with many factors at play. But the leading cause is the little known history of the immigration patterns from China to the United States. The Chinese first came to the United States during the Gold Rush, went on to build the railroads, then developed the agricultural industry. But few people realize that virtually all these Chinese came from one small part of China: the rural districts of Toishan outside of the city formerly known as Canton. The Toishanese came to America because of a combination of dire circumstances at home and easy access to the seaport of Canton. Now everything else being equal, people from other parts of China would have eventually started coming to America. However, due to the racial enmity that built among the American populace, the United States passed a series of laws that made it illegal for most residents of China to come to the United States between 1882 and 1943. In 1943, China was given an annual quota of 105 legal immigrants. This is not to say that all of the Chinese who were in the U.S. were the descendents of pre-1882 immigrants. Rather, as the only nationality barred from coming to the United States, the Chinese resorted to various forms of illegal entry to come here anyway. But those who came surreptitiously were exclusively relatives or neighbors of Chinese already here, keeping the population homogenously Toishanese. Indeed, despite the Chinese exclusion laws, it was said that in many Toishanese villages, virtually all of the adult males were in the United States. Suddenly, the difference between what Americans believed to be Chinese food, such as chop suey, chow mein, moo goo gai pan, won ton soup, and egg foo yung and what we know today as authentic Chinese food, becomes easy to explain. The Chinese who were resident in America until changes in American immigration policy in the 1960s were not geographically representative of the people of China, and furthermore, were rural, not urban, in origin. I like to make the analog that it's the same as if all of the Americans living in China came from someplace like Victorville, California. From this starting point, factor in the lack of availability of popular Chinese ingredients here in the United States, and on top of that throw in the need to adapt the food to make it palatable to Americans. Mix these all together and core 20th century Chinese food becomes understandable as a combination of authentic and modified food prepared by immigrants who came from a single small area of China. Of course, not all Americanized Chinese food is traceable to Toishanese food and mutations thereof. A new wave of dishes destined to become Americanized Chinese standards arrived on the scene in the late 1960s with dishes such as kung pao chicken, mushu pork, General Tso's chicken, and hot and sour soup joining the pantheon. Once again, immigration was the key to these dishes, as America's doors opened up to more categories of Chinese immigrants beginning in 1965. The first wave of new Chinese immigrants came primarily from Hong Kong and Taiwan, as immigration from mainland China would be years away, not until after President Nixon's historic China visit in 1972. But many of the Taiwanese newcomers were Nationalists who fled from the mainland, bringing with them their penchant for a spicier Chinese cuisine than that of the Toishanese or the Hong Kong peoples. Branding this new, spicy regime as Hunan or Szechwan style, and significantly tweaking the food to suit the locals, Taiwanese chefs took New York by storm and captured the imagination of Manhattan. But this was faux Hunan- and faux Szechwan-style food adapted to New York tastes, as true Hunan and Szechwan food from immigrants from those regions bringing their native foods to America would not arrive on our shores for decades. So once again, even these new style Chinese dishes were not particularly representative of the food actually found in China, but that didn't stop it from sweeping across the entire United States. So really, what America has come to know as Chinese food for 150 years is really a combination of historical accidents and adaptation to American tastes. In contrast, today's authentic Chinese food in the United States represents not only advances in culinary sophistication, but more importantly, reflects that Chinese and their food from Hong Kong, Taiwan, and all regions of mainland China are now represented in the United States. And that's quite a difference. • Forget Sea Bass. It's All About Sablefish. 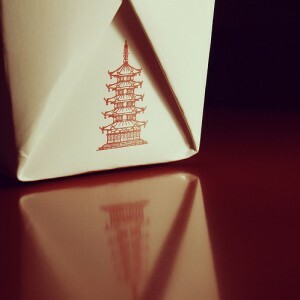 How American Chinese Food Came To Be first published on the Menuism Blog.